Stop for a minute and think about how we show the value of money. It’s in nice, neat columns on our financial statements. It’s in specific dollars and cents. The value of money appears to be a very clear-cut and logical part of our lives, at least on paper. So why doesn’t the way we talk about money match what we see on paper? Why don’t the conversations we have about money always stay cool and rational? We’re talking about dollars and cents. We’re talking about numbers that line up nicely. Why do our money conversations swing from the expected — logical — to the unexpected — emotional? Let’s start by focusing on our expectations. What happens when we expect our money conversations to stay logical? Well, the odds are high that we’ll end up very frustrated. The reality is that we’re self-sabotaging when we expect our money conversations to follow a neat line. Money conversations are rarely about the actual numbers. Before assuming I’m wrong, think carefully about the money conversations we have with our partners and families. While the numbers might look great on a spreadsheet, our conversations about what they represent are often about something else. That’s why the rational discussion we hope to have about the American Express bill turns into a fight about spending habits. We aren’t really talking about the numbers. We’re talking about the fact that money lined up so neatly on a page is supposed to represent our dreams and goals. Dreams and goals aren’t meant to fit on a spreadsheet, so conversations involving what matters to us are not about logic. They are most definitely about how we feel. Yes, we may use the numbers representing money to justify our arguments. But the numbers that seem like they should fit in a box — our budgets, our expenses, our savings — don’t fit as neatly in our conversations. For better or worse, there’s often emotion behind those numbers. But because we aren’t expecting it, the emotion trips us up, causing all sorts of issues. For instance, in the 1990s the research psychologist Paul J. Lavrakas and several colleagues at Ohio State University created the Debt Stress Index. The goal was to track the relationship between financial worries and physical health. The index hit a record high in July 2009 before beginning to drop again. Now, there wasn’t a control in the index for other causes of the physical issues, but it’s not a big stretch to see the potential connection between money and health. If money were really about the numbers, then we would be able to logically process stock market dips or cuts to our paychecks. But what usually happens? We react. We feel stress. I doubt we spend much time comforting ourselves with how neatly the numbers line up in our statements or paychecks. 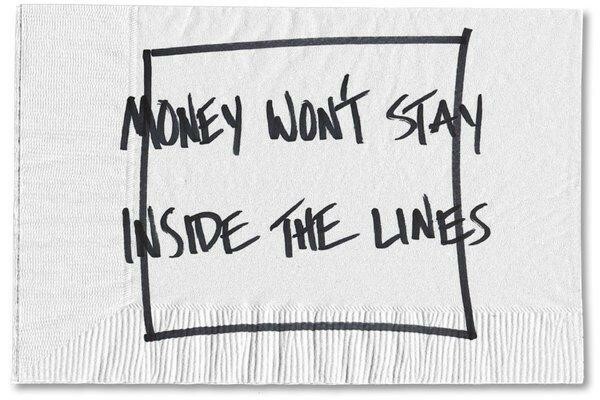 The last thing I want to talk about is the taboo we’ve placed on money conversations. I’ll grant you that we may spend a lot of time talking about other people’s money, but I get the sense from many conversations I’ve had all over the world that we still aren’t comfortable talking about our money. Maybe it comes from the adage that we shouldn’t talk about money at all. It’s rude in some way. But again, if it really is about numbers, then what’s the problem? I’d suggest it’s something simple, but not easy to accept. If money conversations aren’t about the numbers, then they are about how money makes us feel. Maybe I’m in the minority, but if my theory is correct, how many of us are excited to talk about our feelings? Think about the people we know who divorced because they always argued about money. If those arguments were really about the numbers, wouldn’t there be a solution to those arguments at some point? Instead, arguing about money is a “top predictor” of divorce. This outcome was demonstrated by Sonya Britt, an assistant professor of family studies and human services and the program director of personal financial planning at Kansas State University. She conducted a study published in the journal Family Relations that used data from 4,500 couples who participated in the National Survey of Families and Households. To isolate the predictors of divorce, they “controlled for income, debt and net worth.” Across all incomes, arguing about money was the leading reason for divorce. It seems like it should be easy to talk about money with someone we love and trust. But if we’re honest, it’s rarely easy to have those money conversations with our partners, especially if we don’t acknowledge what’s driving those discussions. It may seem like a small thing, and yet I wonder what would happen to our money conversations if we acknowledged the role of emotion from the beginning? How would our conversations change if we recognized the disconnect between money, logic and emotion? Would it make us more likely to ask different questions and to not assume that the other person “doesn’t get it”? We need to be having these conversations because it’s the only way I know of to help us make better money decisions. It won’t be easy, and we won’t always like the results. However, we certainly owe it to ourselves to try. 0 responses on "Featured Blog: A Disconnect in Money, Logic and Emotion"